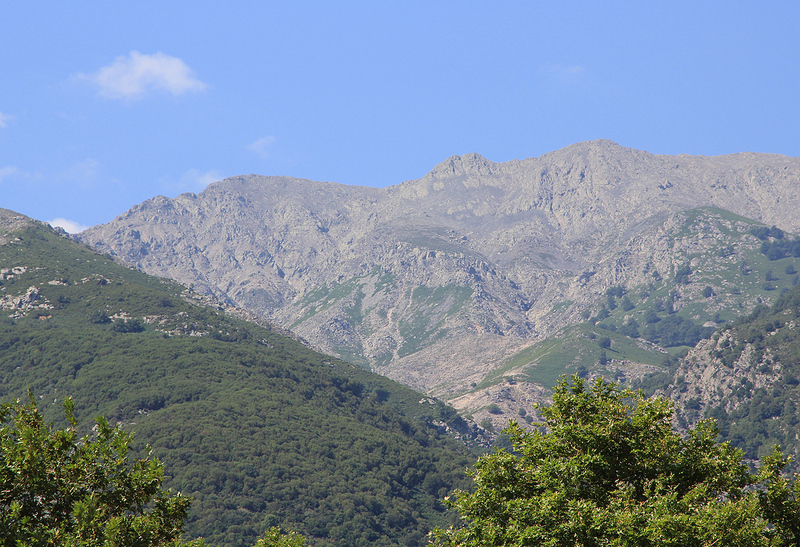 How to get there: This mountain is a little isolated relative to most European climbers. 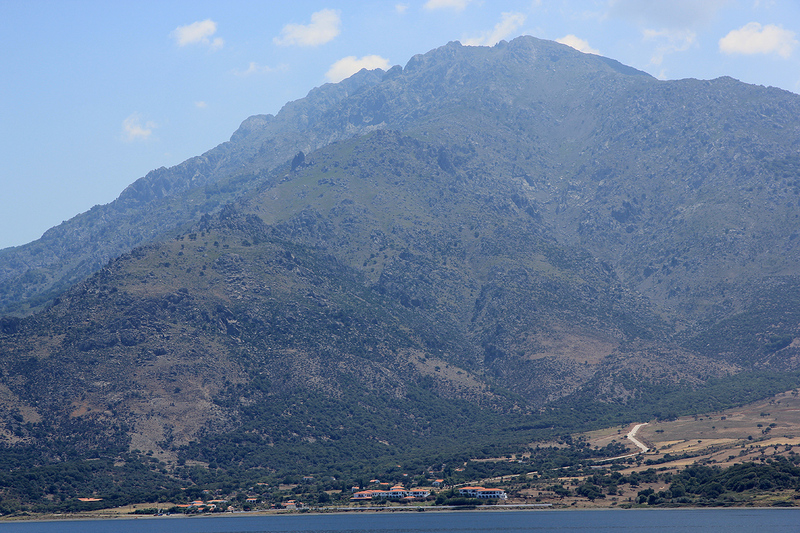 Located on Samothraki, an island that mainly consists of mountains. 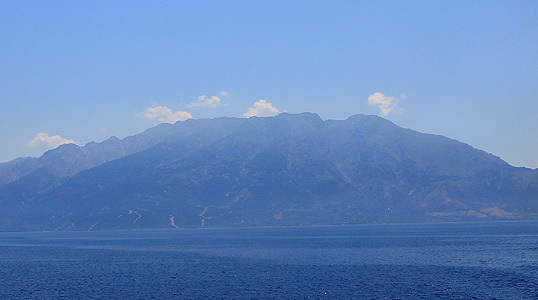 In the summer of 2010, there was only one boat (ferry) serving the island of Samothraki, with mostly only a single departure (each way) per day. This ferry connects the island to the city of Alexandroupoli, a pretty nice Greek city located on the coast, very close to the border with Turkey. 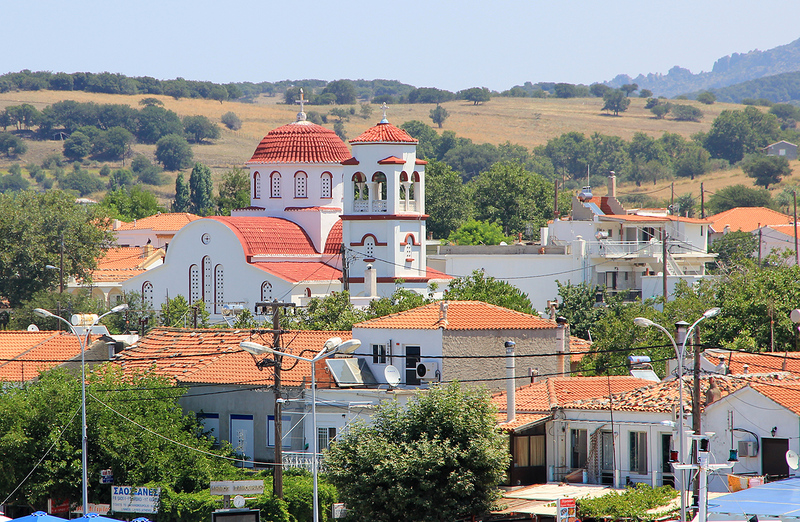 One can drive to Alexandroupoli from Thessaloniki (The second largest city of Greece with good airline connections to the rest of Europe.) in about 4 hours. In Alexandroupoli, locate the seaside road that runs next to the city "lighthouse", a nice and decoraative tower. Turn right in order to get to the ferries. There is also a large free parking area on your right before entering the ferry area. You can buy tickets for the ferry at an agent named Sever Travel, that has his office just across the main road from the lighthouse (actually cross the street going just slightly right.) This office is open until 2100 on weekdays (at least in the summertime). The one-way fare is about Euro 14 (adult in 2010), to bring an ordinary car (less than 4.25 m in length) was Euro 60. 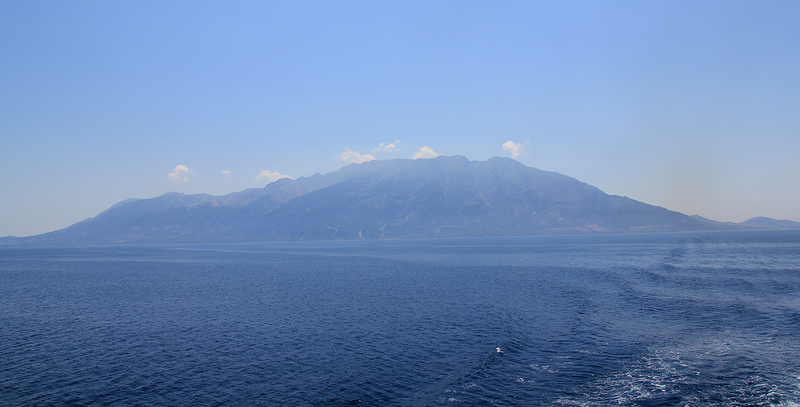 The ferry takes 2.5 hours to cross from Alexandroupoli to Samothraki. The ferry schedule changes frequently and departure times are not the same every day, this needs to be checked just before you plan to go. The boat arrives in the village of Kamariotissa, near the west end of the island. 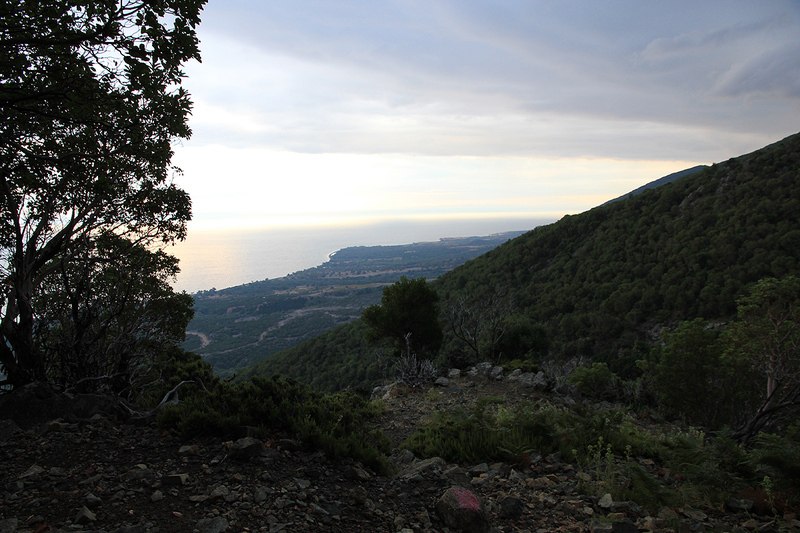 From Kamariotissa, drive along the north side of the island to the small place called Therma. The distance from the ferry should be 13.2 kilometer, here the road forks (in a right curve), keep right and drive 0.6 kilometer along a straight road, gently uphill. You should now be at location N40:29.858, E025:36.208, elevation about 41 meter. Turn sharpy right and drive up a nice driveway that looks as if it is just serving the building, however, turning right you will be at the beginning of a pretty nice dirtroad. If you do not have a car, then perhaps you will start your hike at this point. This dirtroad is in good condition and can be driven by an ordinary car. 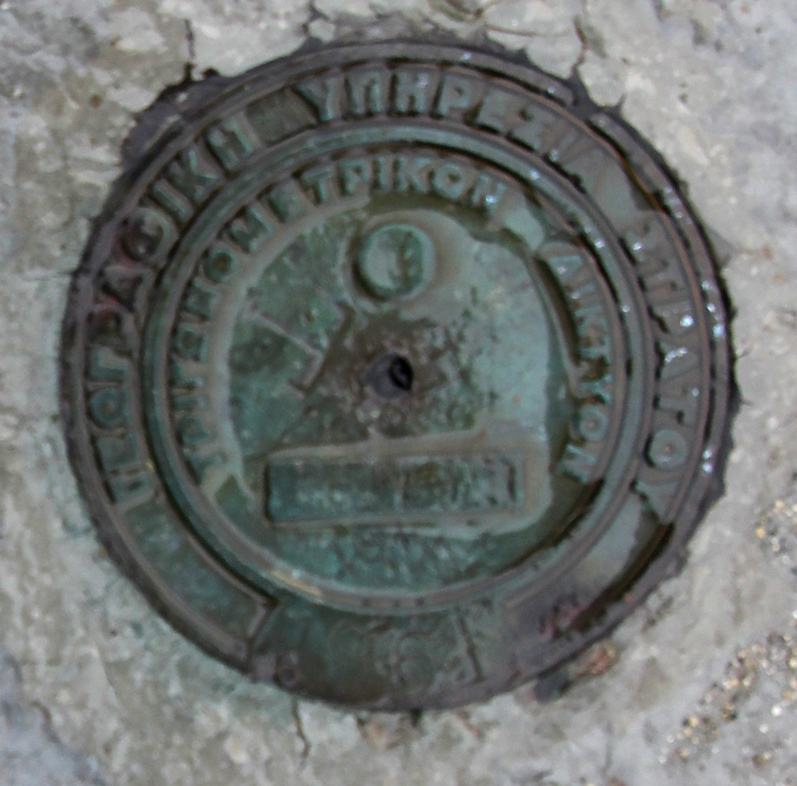 At elevation 102 meter, there is a fork, keep right, following the road that heads uphill. Higher up you will pass two antennas, even higher the road gets more level and there is nice parking on your right, you will see two (farmers) buildings nearby. This is the (upper) trailhead, location N40:29.479, E025:35.465, elevation about 300 meter. Route description: From the upper trailhead, the trail starts out slightly right, just before the very end of the road. 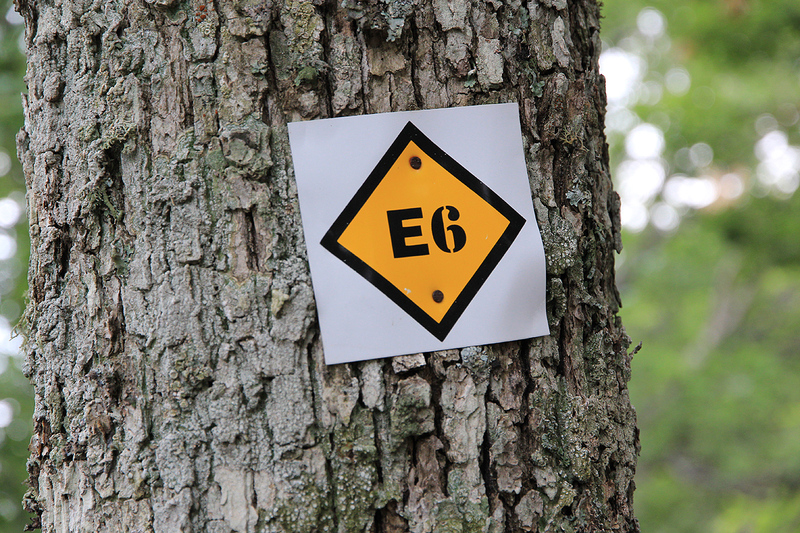 The trail is marked by E-6 symbols (a long "trail" starting from northern Norway/Finland and actually ending on the top of Fegari. You cross into a small canyon and climb out on its left side higher up. This trail is very distinct as it climbs among trees to reach a big tree at location N40:29.226, E025:35.629, elevation about 490 meter. 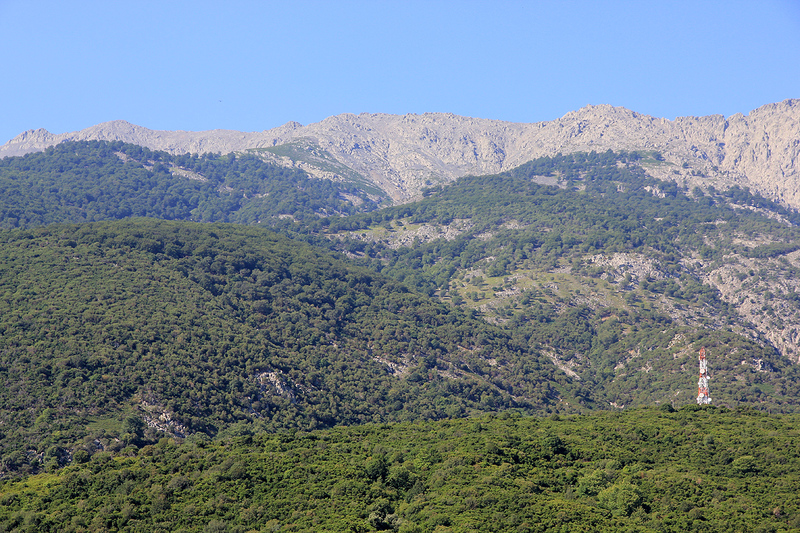 From here, the hillside has big, but scattered trees and virtually no vegetation on the ground. The trail first makes a long uphill traverse left (when looking uphill), then zig-zags gently up the nice and easy slope until you reach location N40:28.589, E025:35.111, at about 1045 meter of elevation. Next follows a more or less horizontal traverse going left, where you cross two creeks that runs in a pretty distinct (little) valley, before reaching a very prominent shoulder (small saddle) at location N40:28.354, E025:35.454, elevation 1140 meter. Note that our map of the island showed the trail going uphill on the west side of the creek, this is highly inaccurate! From this shoulder (there is a pretty big pile of rocks there), turn sharply right and continue up the very broad ridge that heads uphill. The trail is now marked by (old) red paint on various rocks as well as by small cairns here and there. 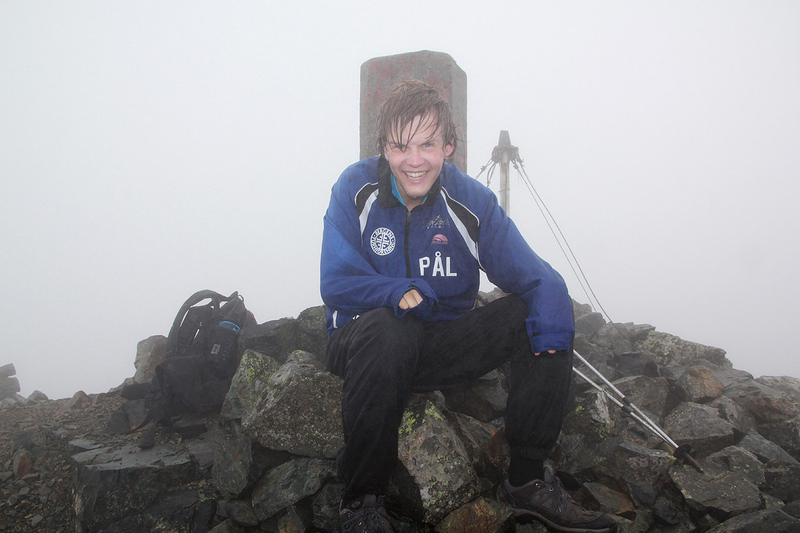 You cross into more talus as you get higher and the terrain gets slightly steeper higher up. Continue until you gain the point marked as 1584, a small (cement) pillar marks this point. From here, follow the red paint as you traverse along the top ridge. Sometimes at the very top, sometimes slightly below and then mostly on the left side of the top. This ridge is fairly narrow in places, but there are no difficult point as you move a bit up and down along this section. It is best to follow the red painted route pretty carefully. After a while, the ridge becomes somewaht flat and much wider, the highest point being up front on a final, but distinct hump. 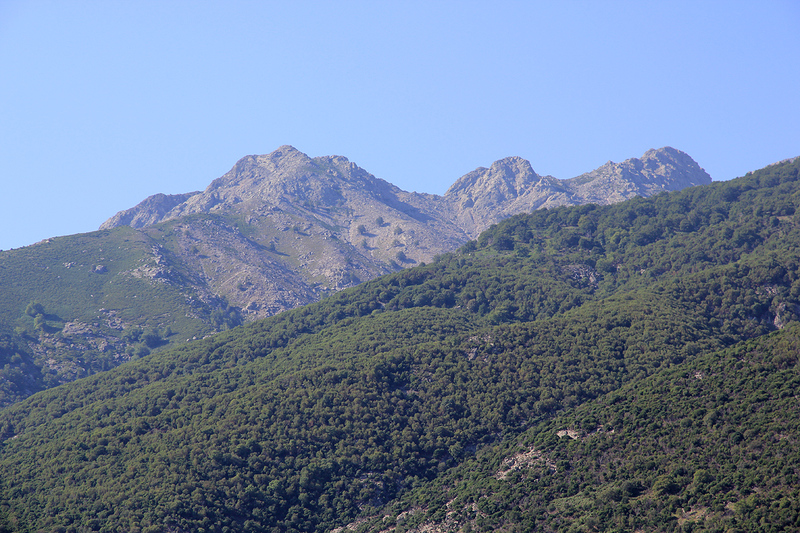 To summarize, much of the route to Fegari can be seen in this picture. The dirt road climbs higher than the comunication tower. 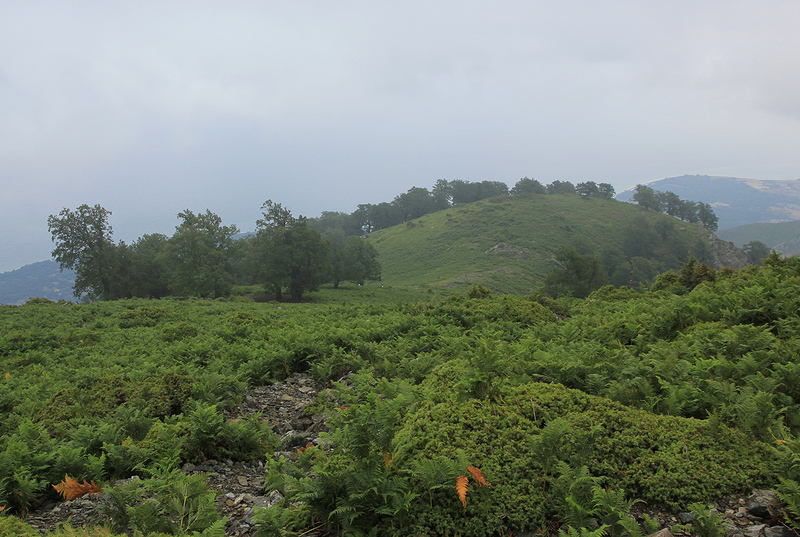 Next, you see the ravine where the trail crosses to the next (left) broad ridge and climbs among trees. Higher up, the route traverses left and crosses the gully (with a creek), to gain the shoulder on the next, broad ridge. Finally, the route runs up here, out of vegetation and then to the first small rock point. From here, traverse along the ridge and gain the highest top which is to the left in this picture. 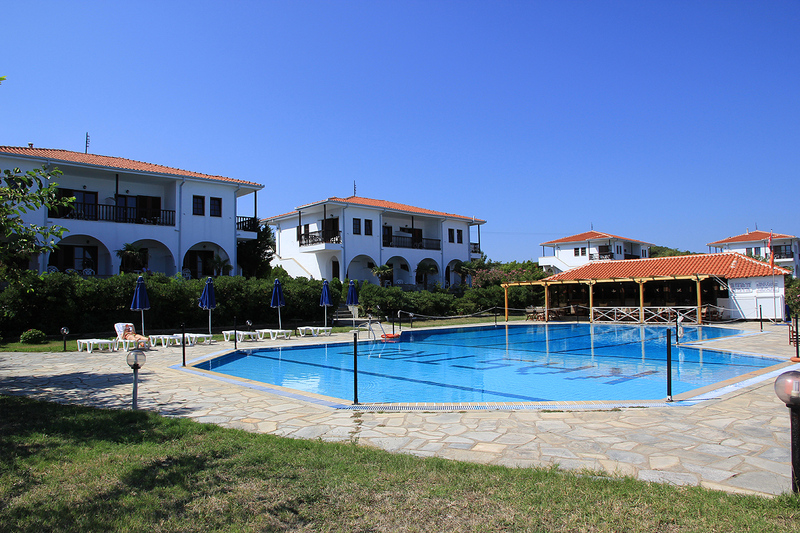 Comments: We stayed at the nice Kastro hotel, phone +30-25510-89400, kastro@kom.forthnet.gr, www.kastrohotel.gr . 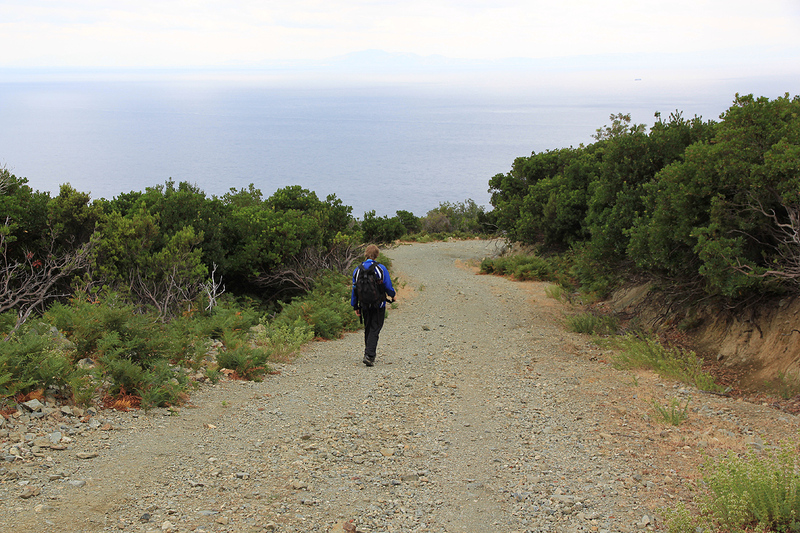 We had already explored large parts of the island after arriving the day before. Dinner at Taverna Karidies, located in Ano Meria, an interesting restaurant as one almost needed a 4x4 SUV to drive there. 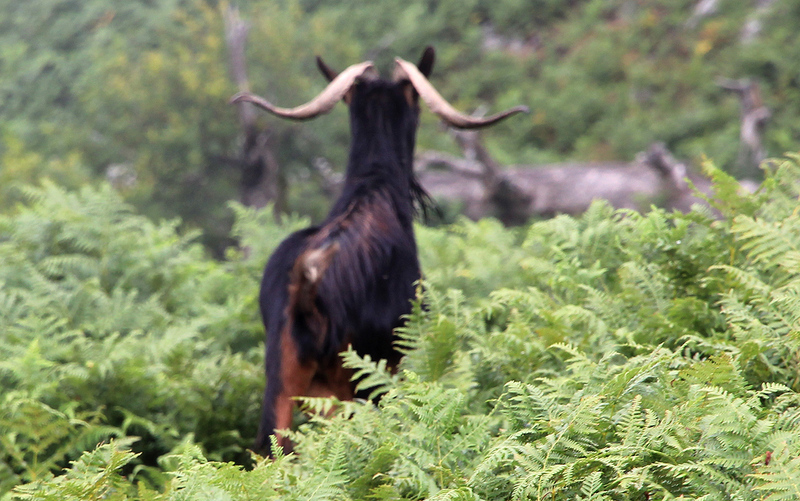 We shared three different goat dishes, the place had about seven variations on the menu. Getting up around 0520, we arrived at the trailhead around 0545. 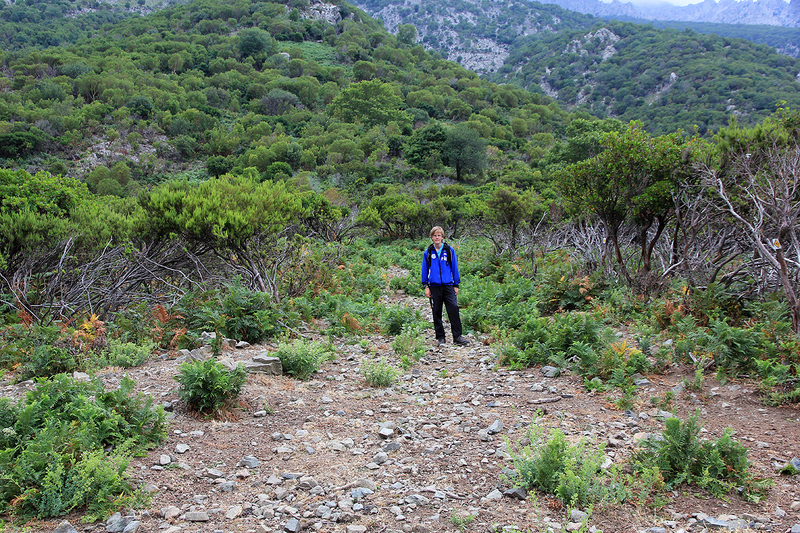 Actually, what we believed would be the trailhead, a small road extending steeply uphill from the upper part of Therma. This road leads up towards a watertank, then turns left to serve a house. After looking around,we spotted a big cairn just above the house, pretty close to the highest this road would take us. We noticed a big error on our map, since it had a white road extending upwards to 300 meter, while this road topped out well below 100. We were on our way around 0600. We followed this trail as it climbed the hillside. Obviously, not in heavy use as we lost the trail temporarily a few places. A quick search uphill and to the side always got us back on the trail. 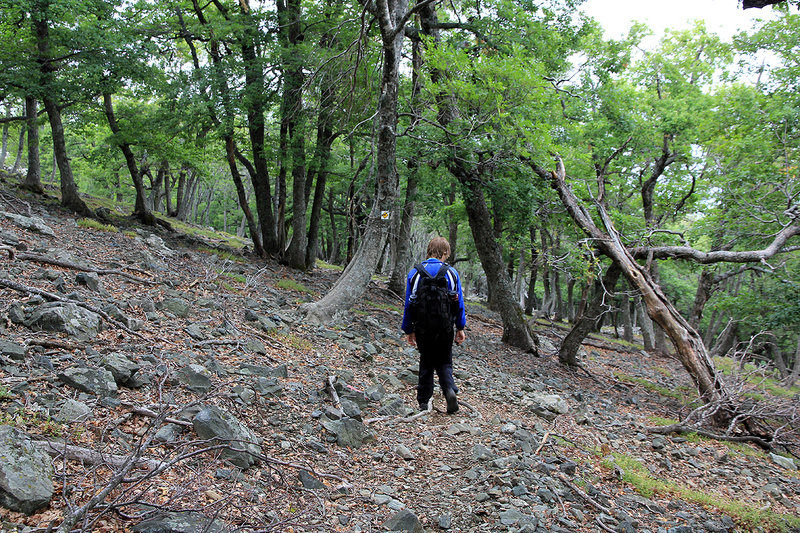 Higher up, we entered the broad ridge having trees, but no vegetation on the ground. We noticed that the trail was better marked in this area (where you cannot go wrong). 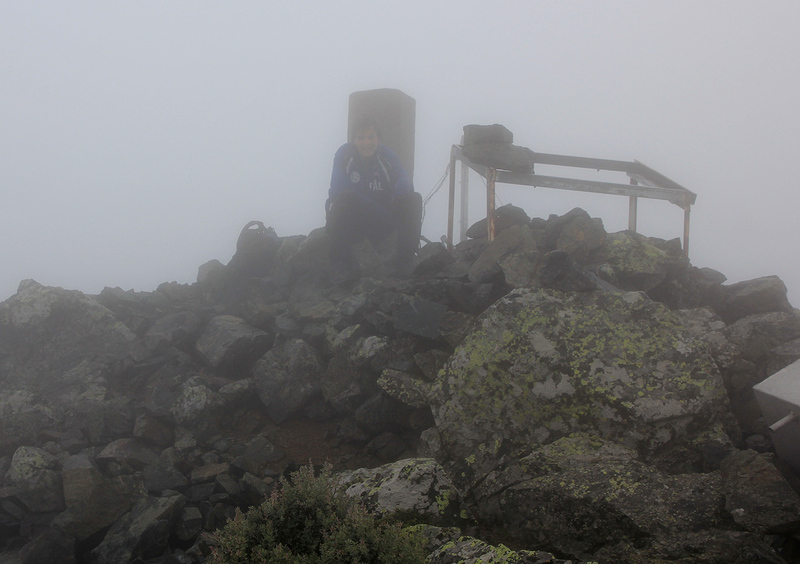 At around 1000 meter of elevation, we ran into the clouds and the fog severely limited our visibility. The trail now traversed left and crossed the creek, then entered a flat area that looked like a small saddle. Time to consult with the map and the GPS. We immediately noticed that the trail should not cross the creek, by checking the elevation it was an easy task to figure out where we were. Hmmm? Should we return back across the creek? We decided to turn uphill and climb what looked like a pretty obvious route on the map, a broad ridge extended up to the top ridge. Somewhat surprising, we soon ran into a red marker and a trail heading our way. The map was wrong again, we were still on the correct trail! We had dinner at another nice taverna, located outside of the capital village of Hora, going south the village, a road leads uphill into a saddle. On the other side there is a large football field. 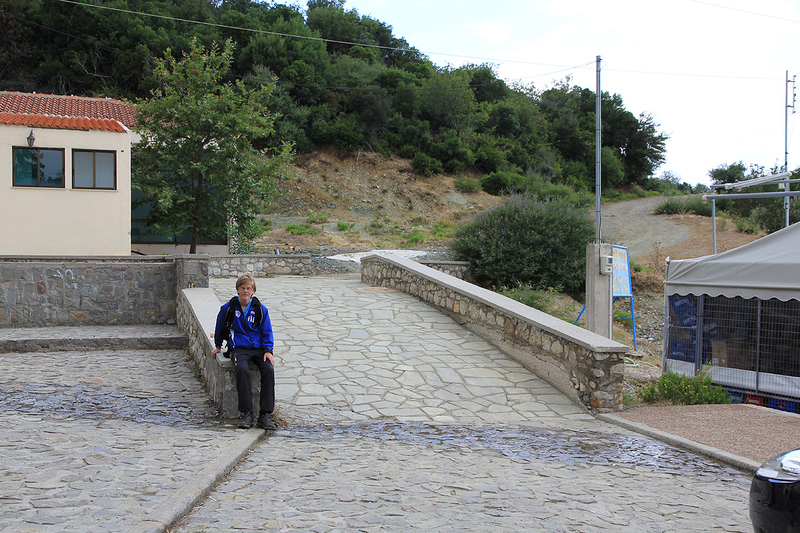 Follow the road that runs on the left side (when coming from Hora), as you walk a few hundred more meter, the taverna shows up on your right hand side. 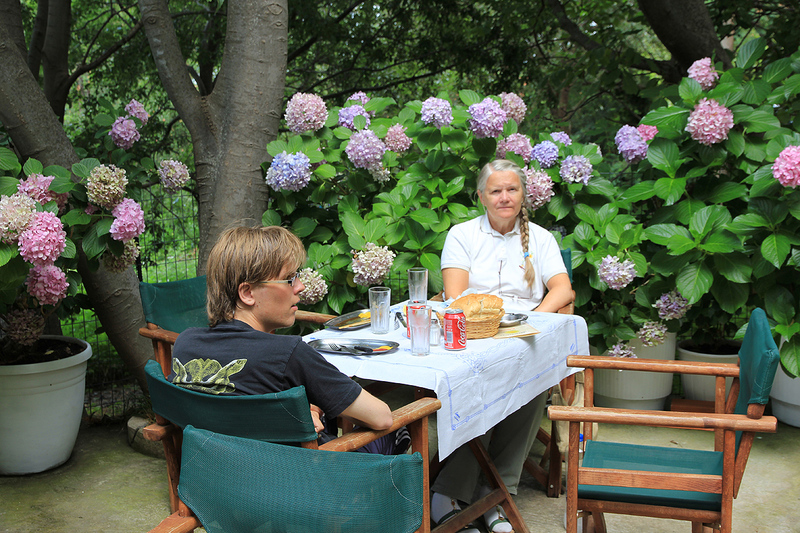 A nice location, an outdoor terrace with a small creek running by. Highly recommended. The next day, the ferry left at 1300, so no hurry and a relaxing morning by the pool. 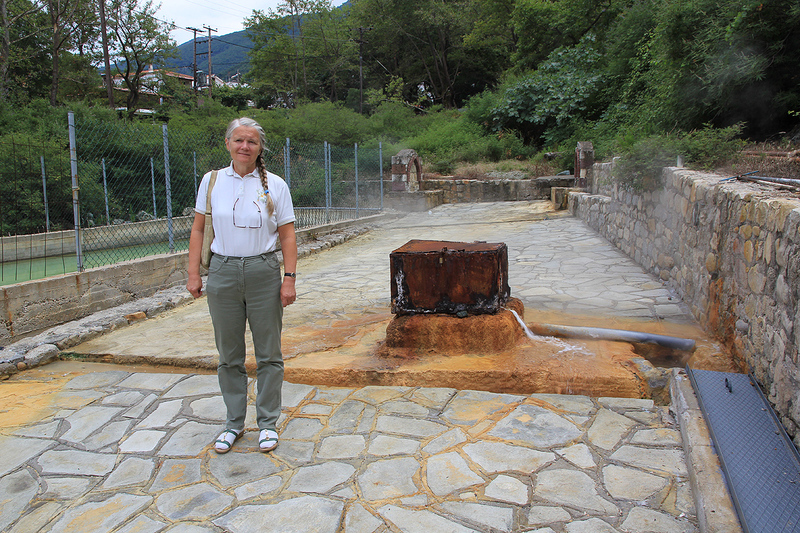 We were back in Alexandropoli shortly after 1500 and drove back towards Kavala, then north towards the Bulgarian border in order to continue our family summer trip. 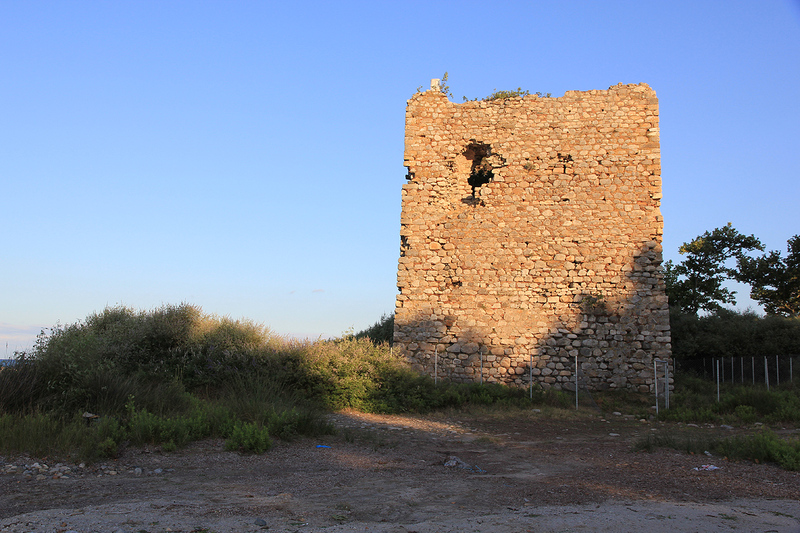 The Fonias Tower, a ruin on the north-east side of Samothraki. Fegari, as seen from a pretty high dirt road east of Thermi. 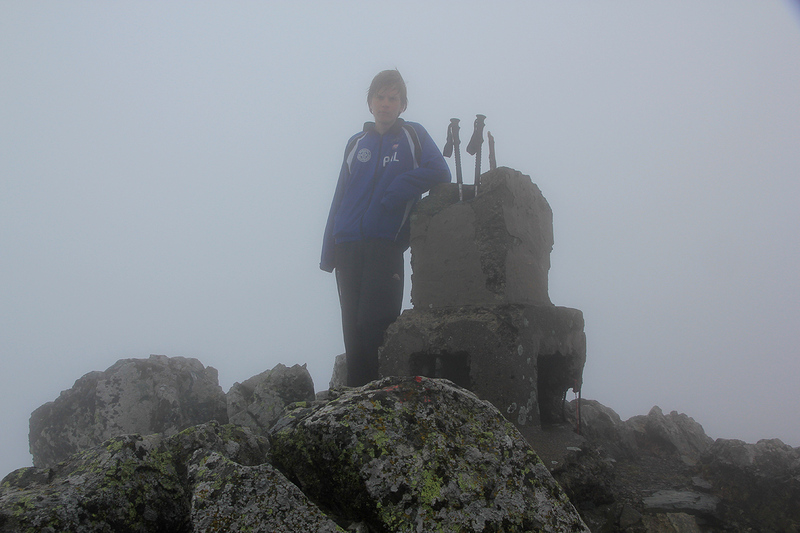 Fegari skyline, the highest summit is almost all the way left. Hotel Kastro as seen from the ferry.